Alkaline water has a higher PH than tap water and is rich in alkalizing minerals including Calcium, Potassium, Magnesium, Bicarbonate and other trace elements. The definition of PH is the measure of Acidity or Alkalinity of water soluble substances. The range of measurement goes from 0 to 14 PH with 0 being the lowest and considered the most acidic and 14 being the highest and considered the most Alkaline. A measure of PH 7.0 is considered neutral. Alkaline water typically ranges from PH 7.5 up to PH 9.0, higher than PH 9.0 is not recommended to consume for drinking. How is Alkaline Water Created? 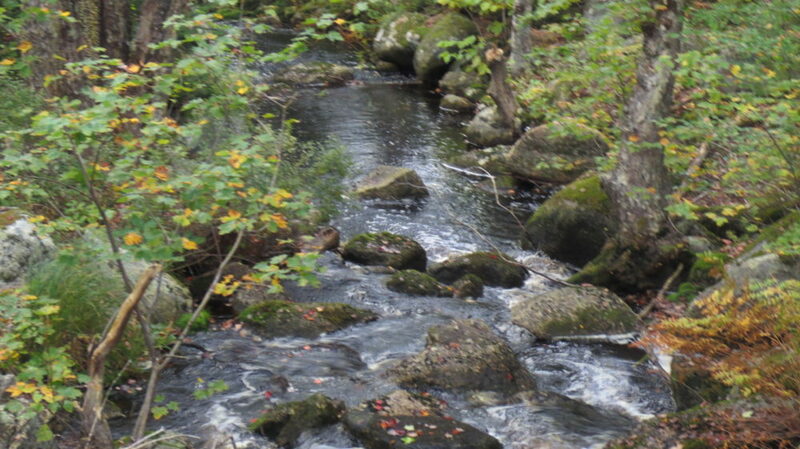 Water that is “naturally” Alkaline occurs when water flows down a mountain stream and passes over the minerals in the rocks and soil allowing the water to “ naturally absorb “ the minerals available as it flows over and through the natural formations. “Artificial “ Alkaline water is created by ionising machines that claim to make the water Alkaline through a process called electrolysis with electricity passing through titanium or platinum plates which separate the water molecules into acidic and alkaline groups. The acidic molecules go to waste and the Alkaline is used for drinking. Most of these Ionising machines have a simple carbon filter to reduce the chlorine but these do not reduce the contaminants in the water, nor do they add any healthy minerals into the water. Safe Alkaline Water must have all contaminants removed and have natural minerals. Low PH Water which is considered acidic ( below PH7) and is not recommended for drinking on a regular basis. Water that has been deliberately demineralized is also unfit for long term drinking and can have serious negative health impacts. This has been confirmed in a published report by the World Health Organization WHO Study: Health risks from drinking demineralized water. In the WHO study, demineralized water is defined as water that contains little or no dissolved minerals in it. Demineralized water is reported to taste bad to most people and therefore may affect the amount of water people consume and whether they stay hydrated or not. Drinking water of low mineral content showed that it had a negative effect on functions in the body that control water and mineral metabolism. Natural Spring Water that passes over rocks and through soil containing natural minerals which are then absorbed into the water is the best option for drinking water, but how many of us have access to this type of water? So, How can I get Healthy Mineral Alkaline Water at Home? 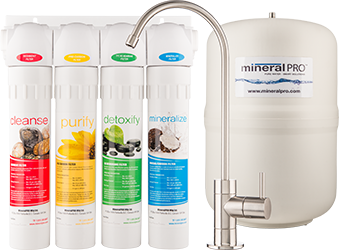 Mineral Pro has developed a Reverse Osmosis System that first purifies the water by removing the chlorine and unwanted contaminants, then re-mineralises the water with natural minerals resulting in very pure, healthy, great tasting mineral alkaline water as close to mother nature as possible. It is the re-adding of natural minerals that gives Mineral Pro’s water the great taste we are famous for. If you are used to drinking filtered water from a common plastic jug type water filter you will be amazed that the MineralPro Water tastes so much better. You will also be amazed that it costs you less over the long run too! So if you are looking for Alkaline Water that mother nature would approve of, take a look at Mineral Pro or give us a call at 1-250-586-6667.